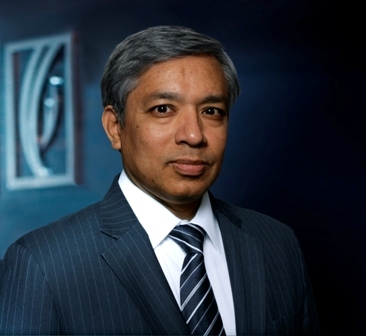 Surya Subramanian, Chief Financial Officer of Emirates NBD Bank. Q. When Emirates NBD Bank announced its third quarter results you attributed the bank’s strong operating performance to the sustained cost optimisation initiative, declining operational costs and the bank’s strategy to maintain conservatism in de-risking its balance sheet. CFOs are generally known to focus more on reducing operational costs. Do you think some of these measures eschew other growth initiatives, in favour of cost cutting and profit optimisation? There are two aspects to cost control from a CFO’s perspective. The first is to ensure that we get value for every dirham spent. You can also extend this to state that CFO’s will push for relative value when the situation demands, such as when we have to choose between competing projects with a limited investment spend. The second aspect is trickier and often requires deep industry knowledge where we have to balance between what I call the 3 Cs – Cost, Control / Compliance and Customer Service. This, well done, leads to sustainable profit maximisation. Taking about performance, CFOs are ultimately evaluated by the company’s overall results. If performance falls short, the CFO is usually the scapegoat. As the CFO of one of the biggest banks in the region, how do you deal with performance pressure? It helps that I have experienced and learnt from an earlier Asian financial crisis. Our Bank also has a clear strategy to put the effects of the crisis behind us and for the management team it is a matter of steering the course collectively. The performance pressure then turns into a positive challenge of how to help the organisation achieve its goals. Also, as an added positive in the context of this question, while our performance has been not as good as before, we are still a profitable and dividend paying institution. You were appointed to the position of CFO in 2010. This is also the period when the banking industry was still in a challenging phase following the global financial crisis that began in 2008. 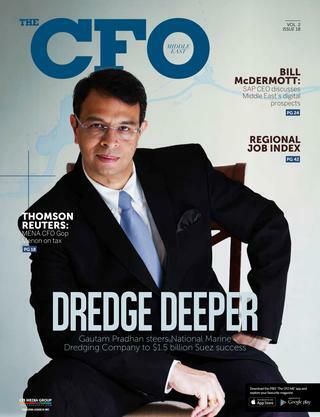 There’s no doubt that these events shaped and redefined the responsibilities of the CFO a great deal. How, in your opinion has the role of the CFO changed post the financial crisis? The role of the CFO, both before and after the financial crisis, remains unchanged. It has however brought to focus the lesson that ‘control’ is a key element of the job description, a fact some CFOs ignored to their personal peril and that of their organisation. In addition, now we have to deal with increased scepticism from the auditors and regulators too for the financial services industry. This means that a lot more thought and back-up preparation has to go into all areas of judgment. Today, CFOs are generally expected to ensure the cost efficiency of the finance and accounting function, while providing strategic business guidance and advice to the CEO. How has the relationship between the CFO and the CEO changed over the last five years? The relationship between the CFO and the CEO has never been stronger. You would have noted that in most instances of management change initiated by the Board or Shareholders, the CFO follows the CEO on the exit path. Before the global financial crisis and in its aftermath, we have seen stories of individual glory that sometimes tend to sway organisations – large deals, sizeable profits within a division, signature acquisitions to name a few. The CFO’s role to provide unbiased input to what these mean at an organisational level is key to avoiding portfolio level pitfalls that are blind spots at a divisional level. It is important therefore that there is immense trust between the CEO and CFO to help deliver on the agenda. Four years on, [after the markets’ collapse] provided us crucial insights related to operational challenges facing financial auditing, including that there is a lot of focus on judgement related to evaluation of credit and valuation of collateral and add to that… the valuation of investments. That does compound problems of documentation and debate for our industry that essentially deals with credit and maturity transformation. Frequent dialogue and reviews with the auditors helps in addressing key pressure points and it is equally important to share the thought process behind complex decisions as well as how it fits into the overall strategy. By the time this article gets into print, we will be ready to release full year results at a date earlier than ever before and this would not have been possible without quality information sharing and coordination between us and our auditors. As organisations today work towards managing risks and cutting down unnecessary expenditure, what do you regard as the critical operational areas or departments to be watched in the everyday running of the business? I have to start with my own function, Finance, to ensure that it is fit for purpose in a new era. Ensuring that we have the right talent to support the future growth of the organisation is key on my agenda. As a commercial bank that derives almost two-thirds of its revenue from net interest income, a critical area of focus is working together with the rest of the management team to ensure best-in-class asset / liability management. We believe this is what differentiates Emirates NBD from many other banks in the region. What path did you take to become the CFO of Emirates NBD Bank? I started my banking career with Standard Chartered Bank in 1984 with the first seven years in various operational and front-office roles in India, including a very rewarding stint as a branch manager of a full-service unit in Goa. This foundation gave me a strong understanding of the industry, its products, services and its customers. My career in Finance started with a personal choice to migrate to Singapore in 1991 where I continued with the same bank in various regional and local roles covering MIS, Asset Liability Management and Business Performance Reporting. My first break as a CFO came in 1995 when Royal Bank of Canada decided to create a local finance function for its growing presence in Asia and this brought me in direct touch with senior management within the bank, auditors and regulators. The experiences were immense and cut across new areas like Regulatory Reporting, Compliance, Tax and Corporate Secretarial functions. In 1999 Standard Chartered Bank recalled me to support their (then) Global Corporate and Institutional Banking franchise headquartered in Singapore and I was a key member of the fledgling team that created and set the strategy in motion to build one of the most successful financial institutions post the Asian financial crisis. Later I held other roles as CFO, Singapore and South-East Asia and COO for the global Finance function responsible for finance systems and processes and shared service centres. I left banking in early 2007 to focus on family time with my young daughter and missed the direct onslaught of the current financial crisis. My time was spent between various community activities and a foray into corporate governance as an audit committee member at the Infocomm Development Authority in Singapore. Later, I took on a more formal role with the Ministry of Finance and with the Accounting and Corporate Regulatory Authority in Singapore to assist with the development of accounting standards and the regulation of financial reporting statements. This has to be counted as a unique and rewarding experience that also lead to being a member of the Advisory Council to the International Accounting Standards Board (IASB). Eventually some search consultant dug me out of a four year retirement to bring me back to my passion in banking for a role as the CFO of Emirates NBD where I have now completed two very challenging yet satisfying years. Outside the workplace, my interest lies in reading non-fiction, swimming and travelling to new places across the world. I am glad that my family also loves to travel and that allows us to learn about new people and cultures each holiday we take.